People go plant-based for lots of reasons. These include losing weight, feeling more energetic, reducing the risk of heart disease, decreasing the number of pills they take… there are dozens of great reasons! For even more inspiration, check out these other benefits you can expect when you go plant-based. If you are eating meat, cheese, and highly processed foods, chances are you have elevated levels of inflammation in your body. While short-term inflammation (such as after an injury) is normal and necessary, inflammation that lasts for months or years is not. Chronic inflammation has been linked to the development of atherosclerosis, heart attacks, strokes, diabetes, and autoimmune diseases, among other conditions. In contrast, plant-based diets are naturally anti-inflammatory, because they are high in fiber, antioxidants, and other phytonutrients, and much lower in inflammatory triggers like saturated fat and endotoxins (toxins released from bacteria commonly found in animal foods). Studies have shown that people who adopt plant-based diets can dramatically lower their level of C-reactive protein (CRP), an indicator of inflammation in the body. Elevated blood cholesterol is a key risk factor for heart disease and strokes, two of the leading killers in the United States. Saturated fat — primarily found in meat, poultry, cheese, and other animal products — is a major driver of our blood cholesterol levels. Cholesterol in our food also plays a role. Studies consistently show that when people go plant based, their blood cholesterol levels drop by up to 35% . In many cases, the decrease is equal to that seen with drug therapy — with many positive side effects! People who require cholesterol-lowering drugs can further slash their cholesterol levels and cardiovascular risk by adopting a plant-based diet. Whole-food, plant-based diets reduce blood cholesterol because they tend to be very low in saturated fat and they contain zero cholesterol. Moreover, plant-based diets are high in fiber, which further reduces blood cholesterol levels. Soy has also been shown to play a role in lowering cholesterol, for those who choose to include it. 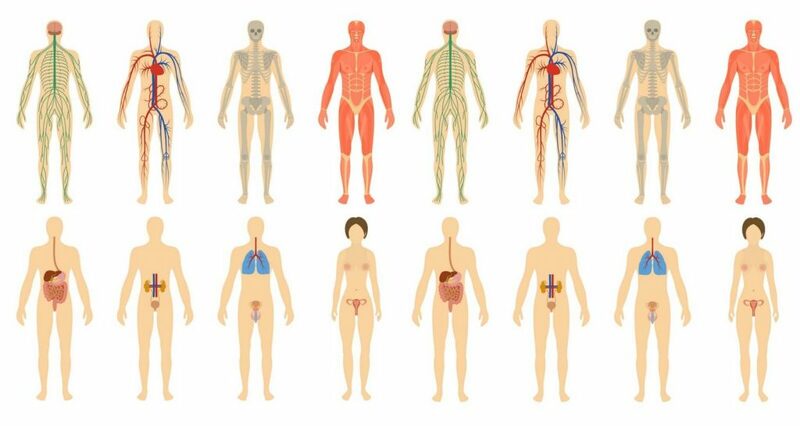 The trillions of microorganisms living in our bodies are collectively called the microbiome. Increasingly, these microorganisms are recognized as crucial to our overall health: not only do they help us digest our food, but they produce critical nutrients, train our immune systems, turn genes on and off, keep our gut tissue healthy, and help protect us from cancer. Studies have also shown they play a role in obesity, diabetes, atherosclerosis, autoimmune disease, inflammatory bowel disease, and liver disease. Plant foods help shape a healthy intestinal microbiome. The fiber in plant foods promotes the growth of “friendly” bacteria in our guts. On the other hand, fiber-poor diets (such as those that are high in dairy, eggs, and meat) can foster the growth of disease-promoting bacteria. Landmark studies have shown that when omnivores eat choline or carnitine (found in meat, poultry, seafood, eggs, and dairy), gut bacteria make a substance that is converted by our liver to a toxic product called TMAO. TMAO leads to worsening cholesterol plaques in our blood vessels and escalates the risk of heart attack and stroke. Scientists have made the remarkable discovery that environmental and lifestyle factors can turn genes on and off. For example, the antioxidants and other nutrients we eat in whole plant foods can change gene expression to optimize how our cells repair damaged DNA. Research has also shown that lifestyle changes, including a plant-based diet, can decrease the expression of cancer genes in men with low-risk prostate cancer. We’ve even seen that a plant-based diet, along with other lifestyle changes, can lengthen our telomeres — the caps at the end of our chromosomes that help keep our DNA stable. This might mean that our cells and tissues age more slowly, since shortened telomeres are associated with aging and earlier death. An estimated 38% of Americans have prediabetes — a precursor to type 2 diabetes. Animal protein, especially red and processed meat, has been shown in study after study to increase the risk of type 2 diabetes. In the Adventist population, omnivores have double the rate of diabetes compared with vegans, even accounting for differences in body weight. In fact, in this population, eating meat once a week or more over a 17-year period increased the risk of diabetes by 74%! Similarly, in the Health Professionals Follow-up Study and Nurses Health Study, increasing red meat intake by more than just half a serving per day was associated with a 48% increased risk in diabetesover 4 years. You will dramatically lessen your chances of getting type 2 diabetes by leaving animal products off of your plate and eating a diet based in whole plant foods. This is especially true if you eat whole grains, which are highly protective against type 2 diabetes. You read that right: carbs actually protect you from diabetes! Also, a plant-based diet can improve or even reverse your diabetes if you’ve already been diagnosed. On the other hand, the protein found in whole plant foods protects us from many chronic diseases. There is no need to track protein intake or use protein supplements with plant-based diets; if you are meeting your daily calorie needs, you will get plenty of protein. The longest-lived people on Earth, those living in the “Blue Zones,” get about 10% of their calories from protein, compared with the US average of 15-20%. Animal agriculture is extremely destructive to the planet. It is the single largest contributor to greenhouse gas emissions, and is a leading cause of land and water use, deforestation, wildlife destruction, and species extinction. About 2,000 gallons of water are needed to produce just one pound of beef in the U.S. Our oceans are rapidly becoming depleted of fish; by some estimates, oceans may be fishless by 2048. The current food system, based on meat and dairy production, also contributes to world hunger — the majority of crops grown worldwide go toward feeding livestock, not feeding people. Equally important, animals raised for food are sentient beings who suffer, whether raised in industrial factory farms or in farms labeled “humane.” Eating a plant-based diet helps us lead a more compassionate life. After all, being healthy is not just about the food we eat; it’s also about our consciousness — our awareness of how our choices affect the planet and all of those with whom we share it. Great article, sadly, most people will come up with a plethora of excuses not to give up meat and dairy. All they have to do is visit an animal sanctuary or watch an animal agriculture documentary to help educate them on the horrors of this Cabal-controlled industry. Eating as a Vegan is actually very easy, dealing with people and their multi-generational mind-control is not. I highly recommend the documentary ‘What The Health’! Sorry, but meat don’t makes diabetes. I don’t eat meat and I think we don’t need animal-protein – there also are proteins from plants, but it’s not the (animal-)protein, what generate diabetes, it’s carbohydrate. Nobody will say, that Cola and Pommes frites (it’s vegan) are healthy. What we really need for our body is fat and protein. Don’t know who wrote this piece, but it was well known for many years that protein from animals was turned mostly into muscle. Bodybuilders wanting more and larger muscle ate a lot of meat, eggs and drank milk with protein powder. Every piece of information in the bodybuilding world suggested that carbs were stored as fats and that diets never work more than two weeks because our bodies tune in to what we are doing with respects to food intake and ADJUST to it. So you need to do the diet for two weeks and then trick your body by eating differently for a week, then get back on the diet. They explained that the cavemen would have lots of food at one point and their body would store much of it because there was no telling when the next big kill and food supply would come. Anywa, this article seems to suggest exactly the opposite, that carbs are used as feul and energy and meat is stored as fat. I’m not convinced with this after reading this piece. Eating very healthy, fruits and veggies, nuts too is very expensive. Some try to deny this, but it is absolutely true. Also, how does the average person know what chemicals were used to grow the fruits and veggies and which of them had chemicals sprayed on them? So this means, where in the world to get those fruits and veggies other than trying to grow them ourselves? Totally agree! And to that I would add Dairy and Wheat. The latter is just as bad for our body. Great article. It helps me understand more about eating right. My biggest problem is I need to learn more plant based ‘recipes’. I would love to see suggestions on good recipe books. It’s said that because human beings do not reproduce enough physical bodies now that many souls have to be reincarnate into animals’ bodies to be born to Earth to evolve. You can imagine whose bodies you are eating if you eat meat, and how fearful, painful and revengeful that animals feel at the slaughterhouse before being killed, even if they can’t speak up or cry for help. Such extremely negative energy stays in their flesh to be consumed by meat eaters. That’s why human beings behave the ways they do now – to have to fight and attack others to combat their unexplainable fear (for going against humanity to eat another being’s physical body that makes them feel guilty deep inside that creates unknown fear) by attacking others first to feel safer.